Jack Whitehall and His Dad are back. This time on the Internet with their own series on Netflix. This is the second time that we have seen the duo together on television since their first show together between 2014 & 2015. 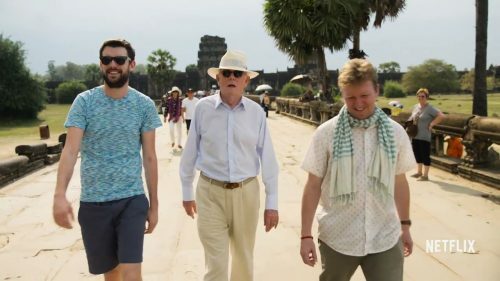 Based on the comedic viewpoints of Jack Whitehall, Travels with My Father follows Jack, a 28-year-old comedian, embarking on the trip of a lifetime with his father, Michael. The two set off on a journey across South East Asia to partake in a series of adventures, mishaps and escapades with two very different perspectives.